Before we go on to how I feel about this drama, we need to look at how cute JB is again. Unfortunately, I was too taken with finishing the rest of the episodes that I didn't take any more screenshots. So what do I think about this drama? I am glad I watched it many years after Dream High. There's no sense of comparison when I watched this and I think that's good, because this is quite a good feel-good drama. As I have already classified it as a feel-good drama, I have chosen to ignore plot intricacies that honestly aren't that small a flaw, but rather obvious holes. For one, I feel that the ideas they have are good, but they need a better script to bring out the characterisation. Till the very end, they left relationships iffy and unsettled, which can be a good thing — you know how friendships can exist between males and females. That's why I appreciate the scene between Rian and JB in the last episode, when he thanked her for always being there both at the start and at the end to give him strength. However, we can't disregard that JB sounds like a player sometimes. I really like his sincere heart but the way the script presents him, you can't blame Rian for hating him at one point in time. As for Rian, it is confusing occasionally as she swings from being a nice girl to one that is manipulative (such as crying on stage after JB's and Hae Sung's performance). Of course, it's good that there are no characters who are completely evil because that's realistic and also adds on to the feel-goodness of the drama. However, when handled properly, we could love all characters despite their flaws, and when handled badly, we get confused. Not to mention that the last episode could totally have been better dealt with. On the other hand, I felt very teary-eyed at some episodes so it means they were doing something right. 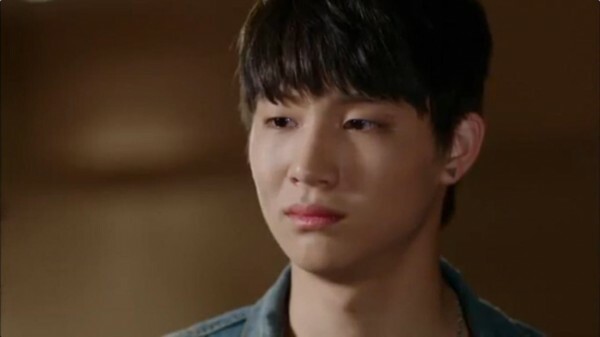 For example, I think it's clever for Hae Sung to give up her chance and allow JB to have another shot at the Super Idol audition. The fact that he ultimately never went back to dancing was also saddening. Incredibly so:(( It feels like such as waste that he started out being the most shining star of the crew and that he ended up as a producer. He is the one who loved dancing so much, but ended up not fulfilling his dream. Yet, would I still recommend this drama? Yes I would(: And it is because I felt quite happy watching it after I have taken the choice to ignore certain failures. It's not that hard a choice because I have seen dramas that are much worse. What are the points to look out for you might ask? I think certainly the relationships are the saving grace of this drama. JB&Hae Sung is one couple you would (hopefully) like, Hae Sung&Yoo Jin doesn't leave you with that sense of injustice (as I've always felt towards second leads), Rian&JB's past relationship is honestly quite cute, and Yoo Jin&Rian's budding friendship is lovely. On top of that, the songs they performed may not be as epic as Dream High's, but they were songs that I could remember and hum along.